within a closed protective cropping environment. nutrients for the plants and additional revenue. 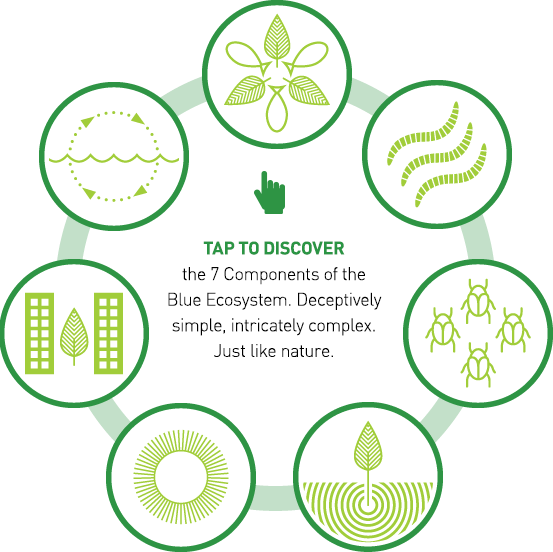 the 7 components of the Blue Ecosystem. Deceptively simple, intricately complex. Just like nature. Plants, fish, worms, insects and micro-organisms thriving in a symbiotic micro ecosystem. Worms and bacteria convert fish waste into plant available nutrients. As a rule of thumb, the waste from producing $1m worth of fish provides nutrients for $10m worth of plants. Integrated biological pest management negates the need for petrochemical based pesticides. Plants are grown in a proprietary soil like medium that maintains optimal plant health. Remote nutrient and environment monitoring and control maintains optimal growing conditions for both plants and fish. Best practice ‘off the shelf’ horticulture and aquaculture systems vertically stacked within the same space. Cyclical flow of water, air, energy and nutrients within a contained and controlled environment. Reduced inputs, minimal effluents. Why did we call a ‘green’ farm Blue? Who will benefit from this technology? Who are the inventors? Find out the answers and much more. Our technology was kept secret for more than a decade of research and development. 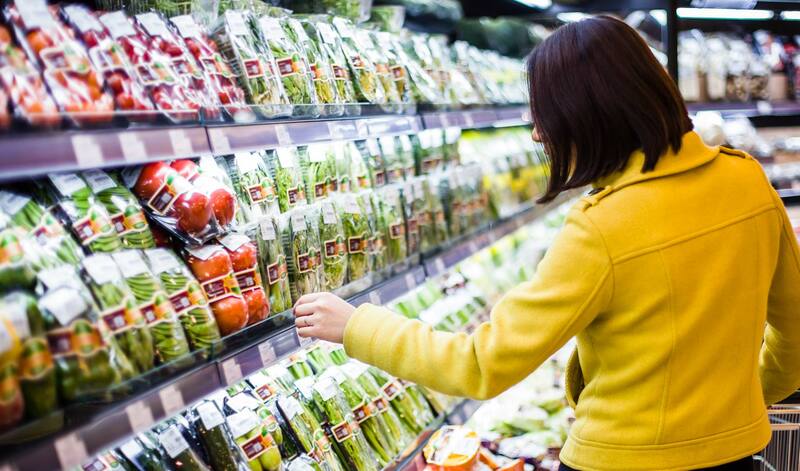 But the word was out when a major Australian supermarket announced their support. Keep abreast of our media coverage. 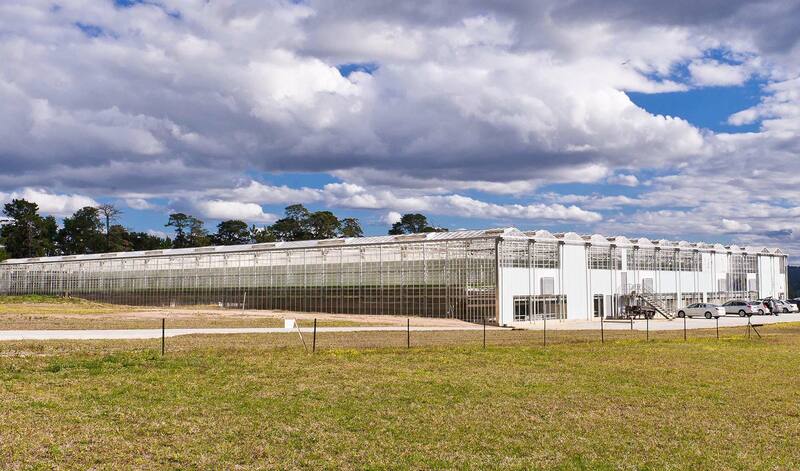 Look inside our ‘A’ Grade Certified Organic research farm where the Blue Farms technology was developed and proven over many years. Humble beginnings but our dreams were big. © Blue Farms c/o Urban Ecological Systems Ltd, Nimbin, NSW, Australia. All rights reserved.